Star chef Tim Raue shares his favorite Berlin spots with Deutsche Welle Euromaxx. We are delighted about the fact that Michelin-starred gourmet chef Tim Raue choose Circle Culture as one of his most inspiring places in Berlin. For the shooting of Deutsche Welle Euromaxx he stopped by at the solo exhibition Waste by Katrin Fridriks and made interesting comparisons between art and cooking. 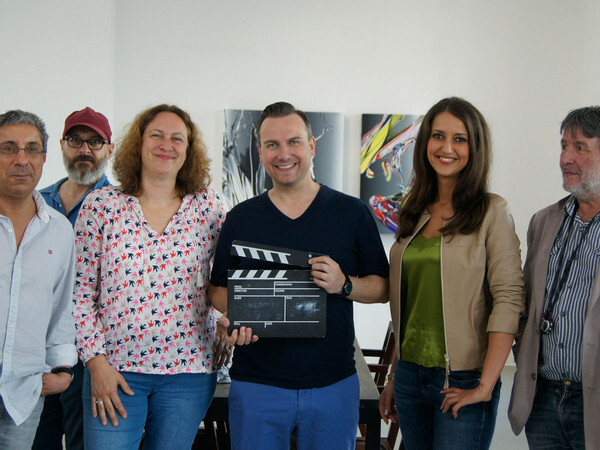 Since Tim Raue is also an art collector and admirer of the work of Lennart Grau, the film crew also visited and interviewed the artist at his studio in Berlin. Don’t miss the full story on Deutsche Welle Euromaxx!